Is it a requirement that customers must sign a new application annually? No, participants must submit a Flex Peak Application initially, but are automatically re-enrolled each year thereafter. One application per customer or one application per site? Customers are only required to submit one application. If customers have multiple facility sites they want to enroll, they can list all of them on a single application. How can a site or customer update their contact list? Call or email their Idaho Power account representative or the Flex Peak program specialist at 208-388-5229 or flexpeak@idahopower.com. If an event is revoked, does it count as one of the three mandatory events? Does it count toward the weekly or season hourly limits? It would not count toward one of the three mandatory events, but customers would still get paid for their weekly nominated kW like the other weeks during the program season. Will the capacity payment rate be prorated for partial weeks using a five-day week or seven-day week? Will a customer ever owe Idaho Power money if their facility underperforms during the events? No. If your facility under performs your payment for the month may be reduced, but you will never have to pay a penalty. Even if you under perform in every event during the season you will never owe any money to Idaho Power. If your facility is down for maintenance on a specific week and you are unable to reduce your energy use, you can opt out for that week but will not receive payment for that time period. What is the method to notify Idaho Power of changes in nominated kW? Fill out the Nomination Change Form and submit it to flexpeak@idahopower.com. If a customer wants to change their nominated kW for a certain week, they must contact Idaho Power no later than 10 a.m. the Thursday prior to the week they want changed. Is the "Day of" Load Adjustment amount based on hourly kW or an average kW from 2 to 8 p.m.? Is the adjustment the same amount of kW for each hour or is it different for each hour? The adjustment is based on the hourly average for the two hours prior to notification. An event is scheduled from 4 to 8 p.m. so Idaho Power would contact customers by 2 p.m. “Day of Load” Adjustment would be from noon to 2 p.m. Once the adjustment amount is calculated, that same amount will be applied to each hour of the event. Could Idaho Power notify a customer of an upcoming event at 4 a.m. for an event scheduled to begin at 2 p.m.? No, Idaho Power would only notify participants two hours prior to the event starting. For example, if an event was planned from 2 to 6 p.m., Idaho Power would notify customers at noon that day. Events can only occur between 2 to 8 p.m. Does the energy payment apply to the first three program events? No, this payment is only implemented after the first three program events. The program needs to have a minimum number of events annually for both the customer and Idaho Power’s familiarity. When will Idaho Power notify me that my business has been accepted into the program? Within 10 business days of receiving a customer’s application. When will I receive payment for participating in the program? Participants enrolled in the program will receive an incentive check or bill credit toward their Idaho Power account no later than 30 days from the end of the program season (Aug. 15). This payment will include both fixed and variable payments as applicable for the entire program season. What types of reductions can I make? Lighting: Reduce or shut off indoor and outdoor lighting where possible. Manufacturing processes: Delay batch and continuous processes. Turn off non-essential process equipment and pumping equipment. HVAC equipment: Raise cooling thermostat settings, use AC package to perform load cycling, temperature reset and possibly pre-cooling. Back off fan speed or reset duct pressure control. Pumps: Pump water into storage tanks and use the water during a curtailment rather than pumping water from wells. 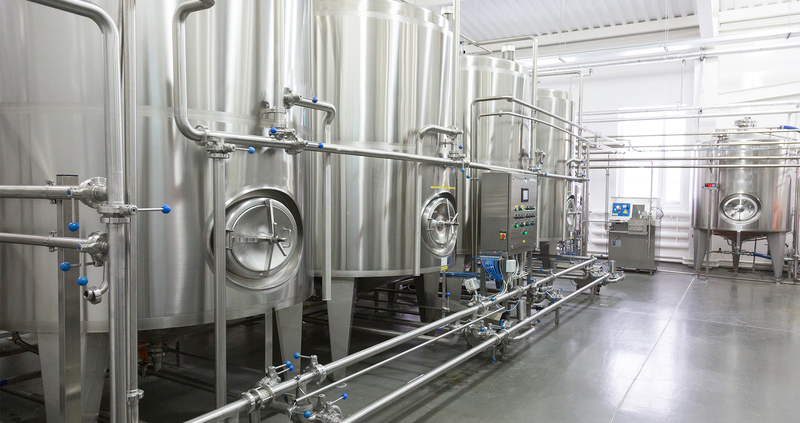 Industrial refrigeration and freezers: Sub-cool refrigerated storage and let it float. Rotate cold storage and divide curtailment period if storage exceeds maximum temperature. Compressors and motors: Shut down non-essential equipment, such as vending machines, multiple elevators and process equipment. Customers find that processes using a lot of energy can simply be shifted by a few hours. When Idaho Power anticipates the need for an event, participants will be notified by phone, email and/or text message two hours prior to the event start time. Once you receive notification of an event, you can begin reducing energy use or shutting off equipment. By the time the event starts two hours later, facilities should have reduced their energy use to their nominated amount. Facilities are expected to maintain the load reduction for the duration of the event.